The lot for the building was purchased and paid off by Mar 1932. In Jan 1934, the basement excavation began. Times were hard and much of the labor for the building was done by members of the ward who were asked to raise 40% of the cost of the building. After a great deal of work and donations, a final push was needed to complete the fundraising for the building so it could be dedicated. A Victory Dinner and Dance in the new building was held on Nov 18, 1937 for that purpose. The needed funds were raised and the building was dedicated on Dec 5, 1937 by Pres. Heber J. Grant. 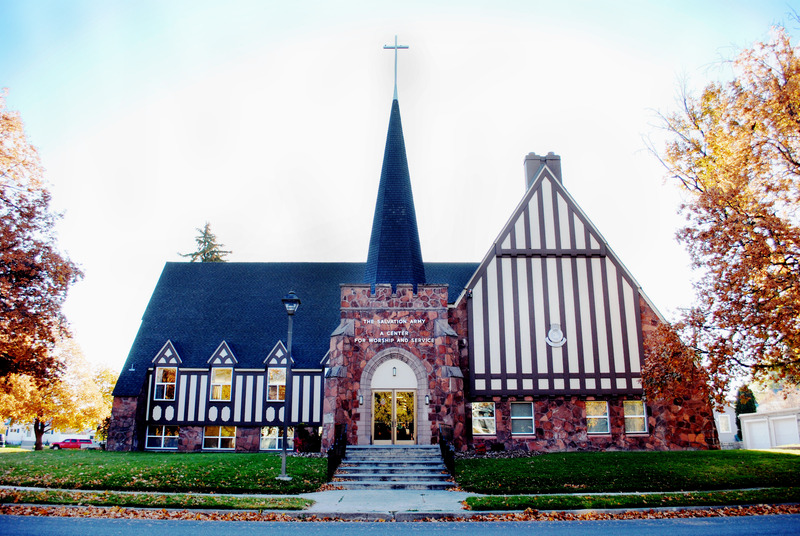 After purchasing the adjoining lot to the east of the Chapel in 1957, a 7000 square foot addition by architect Harold Collard was built in 1958 and dedicated in 1959. The addition included two new bishops offices, a Relief Society room, kitchen, fireside room and classrooms downstairs. 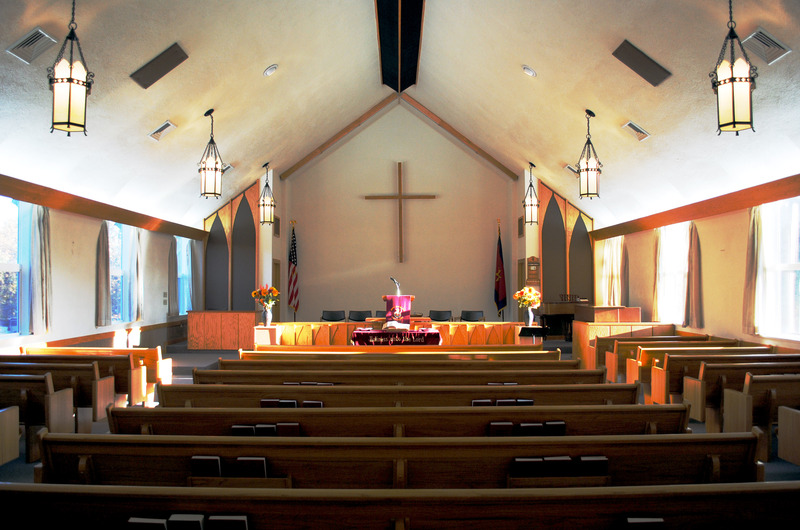 A 1984 remodel included new woodwork, carpet, sound system, choir seats and pews. By 1993 the building was sold to the Salvation Army after 55 years of use when the ward moved into a new standardized meetinghouse built directly adjacent to the Temple, not far from this building. A special farewell meeting and pamphlet was prepared for the occasion, including reminisces by members who had lived in the ward since the construction of the building and helped build it with their own hands. In 1943 Robert L. Shepherd, who at the time was painting murals for the new Idaho Falls Temple, was commissioned to paint a mural for the front of the chapel. Called the ‘Ten Virgins,’ the painting was in the Chapel until the building was sold in 1993, when it was placed in the Family History Library on Elva Street.